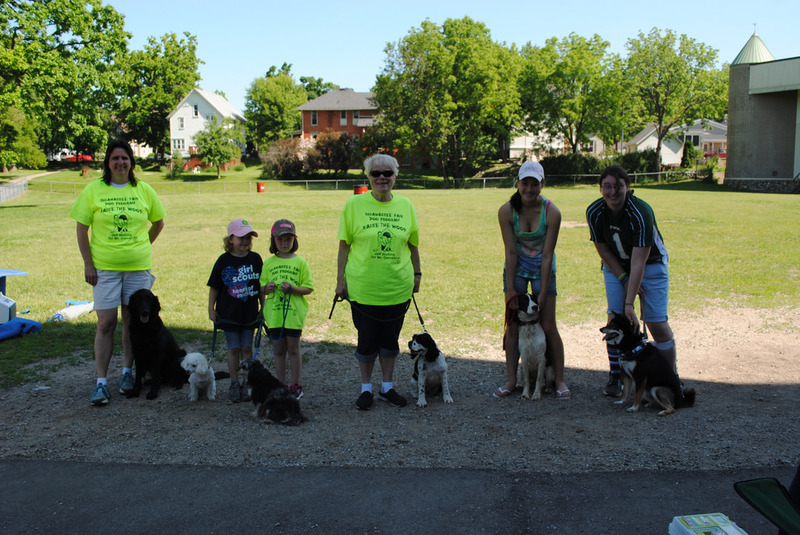 Ten dogs went “paw to paw” in competition Saturday, June 7th at the Curwood Dog of the Year competition in hopes of earning the coveted “Curwood Dog of the Year” for 2014. The following handlers and their pets participated in the event sponsored by “Pet Supplies Plus” here in Owosso: Selena Alvarado with her Beagle, Barker ; Rachel VonDoloski with her two dogs – Liberty, a Border Collie and Lady, an English Springer Spaniel; Barb Stewart with her Cocker Spaniel , Jeffrey; Kristie Taphouse with her Shiba Inu, Snickers; Jiff Griffet with Raven her flat coated retriever; Sophia Wellman with her mix, Princess; Savanah McVay with her Maltipoo – Daisy; Everett McVay with his Maltipoo – Aurora and Onaleigh McVay with her Multipoo – Aurora. Awarded by “Choice of the Crowd” - Curwood Dog of the Year was won by Kristie Taphouse and Snickers.